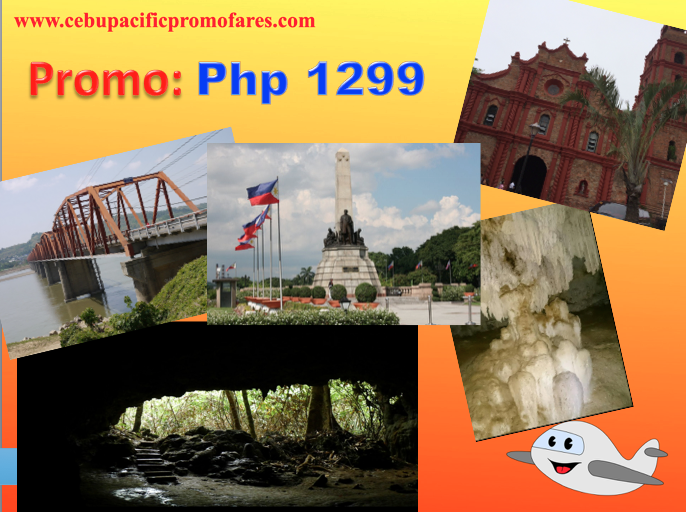 Cebu Pacific Promo Fares: A lot of international routes is on SALE. It's a perfect time to travel to our neighboring Asian cities and get to know the culture, scenic spots, history, customs of people, the art and most importantly, the food! As or the current Cebu Pacific promo, it is cheaper to visit Kota Kinabalu this time than to go to Boracay (Caticlan), Davao, Dumaguete, Naga, Roxas, Tablas or Virac. Of course, that is just basing on the plane ticket. You have to consider expenses that you might need to incur. But it is good to weigh things out. What is Php 1699 compared to Php 1799? As of this point, a domestic flight to Tuguegarao is the cheapest you can get. But where is Tuguegarao? It is a province in the Cagayan Valley Region. It is definitely in the Northeastern part of Luzon, Philippines. The province itself has lots of churches and cathedrals that you can visit. If caving is your things, they got the Sierra and Santa Victoria caves. Of course, they do have museums, restaurants, malls, disco bars, and perhaps, a very picturesque Buntun bridge. However, let's check below some Asian cities that are currently on promo and keep an eye on it. Hi good eveninG. Im jennylyn still we have promo from manila to dumaguete.